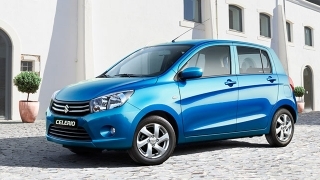 The Suzuki Ertiga is back, and it’s got a few tricks up its sleeve. 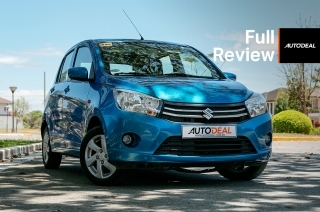 When small MPVs started gaining traction in the Philippines, Suzuki was one of the manufacturers to cater to the segment with the original Suzuki Ertiga that we had a chance to review before. 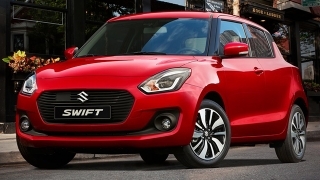 Based on the platform of the Suzuki Swift, it was a compact 7-seater that had good driving dynamics to go along with versatility. Fast forward to this year, and the likes of Toyota, Mitsubishi, and Honda have had a good run at the segment, with each year becoming more competitive for manufacturers. Naturally, Suzuki was never one to back out of a good fight, and their latest contender is more than willing to pull a few punches. 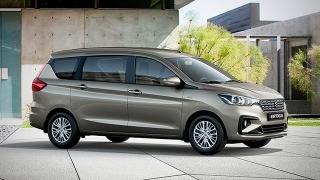 The 2019 Suzuki Ertiga was launched just a week ago, much to the delight of customers and prospective buyers, and as one of Suzuki’s most beloved nameplates, expectations are pretty high. 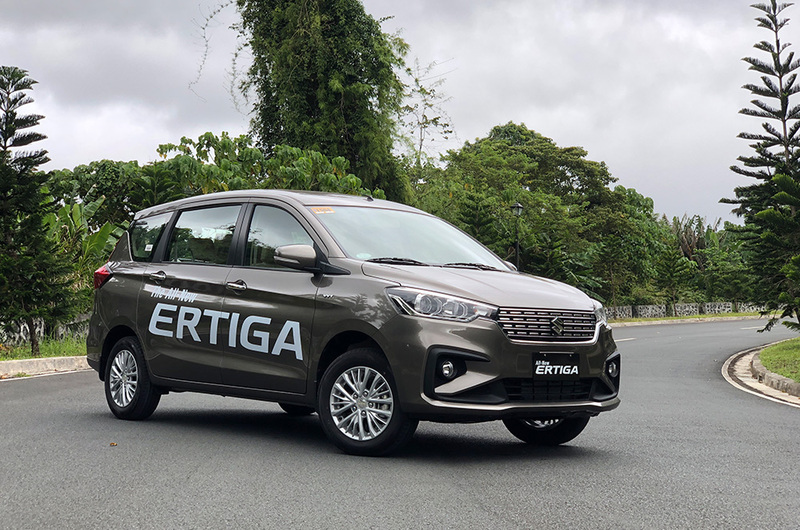 We were invited to a media drive of the 2019 Suzuki Ertiga to Tagaytay Highlands, and putting this new small MPV through its paces was something we couldn’t afford to miss. The route was simple enough, but would prove to be a good test of the new highlights of the Suzuki Ertiga, and the mix of dense urban traffic, wide avenues, the expressway, and provincial roads would be the perfect combination of daily driving. After all, MPVs are meant to do it all, and with relative comfort for passengers and utility for more demanding tasks. We set off at 9am from Suzuki Auto Pasig on C5 in a convoy of more than 15 new Ertigas, all numbered and stickered for maximum attention. Speaking of attention, the biggest draw to the dashboard of the new top variant Suzuki Ertiga is the 10-inch touchscreen interface, and it’s floating design looks pretty neat. The best part is that it comes with Android Auto and Apple CarPlay, together with offline navigation. This means that its currently the only small MPV on the market to have the latest in connectivity features, and it helps that the buttons and touch response from the infotainment system was fast and intuitive. As I spent more time in the cabin, we noticed neat details such as a flat-bottom steering semi-leather steering wheel, ventilation for cupholders, and an attractive wood grain finish plastic trim piece going across the entire dashboard. Even the vents for the air conditioning had a continuous, wraparound design. Unfortunately, we noticed that the rearview mirror lacked a dimmer switch, so that may pose a problem if someone is running their high beams behind you. 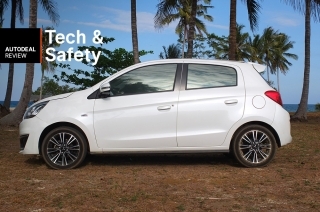 In terms of safety, the Ertiga comes with two airbags, ABS with electronic brakeforce distribution, ISOFIX mounting points for child seats, electronic door locks, and an immobilizer across the board. A reverse camera is available for higher trims, together with parking sensors. As we drove through the city, we noticed a lot of people stealing a few looks at the Suzuki Ertiga, some even pointing and doing a double take as we passed by. One thing I personally liked about the new Ertiga is the way it looks. 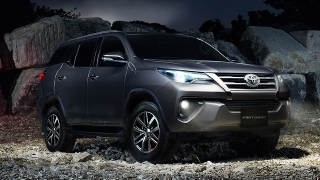 It’s grown ever so slightly than before, and that only means that cargo capacity, passenger space, and overall function follow suit. 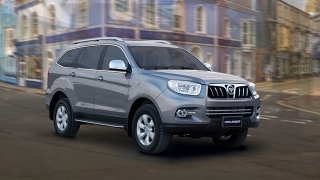 The front face is given a much more muscular appearance with upswept projector headlights, a bolder chrome grille, and larger bumper with foglight housings. The rear gets a more modern design in the form of a slight touch of chrome, and more dramatic taillights that extend up to the chrome trim piece. It’s a look that reminds us of European brands, and the LED rear lighting looks very nice at night. It’s a more stylish departure from the usual safe designs of Suzuki in the past, and we like the direction they’ve been going with the rest of their products, as well. In the city, where speeds are generally low and tight lanes and tricky maneuvering are commonplace, the Suzuki Ertiga does pretty well. It helps that the visibility is excellent, and the electronic power steering felt nicely weighted; a welcome change from the previous Ertiga. This made the new Ertiga a pleasant vehicle to handle tight corners and lane changes with confidence. 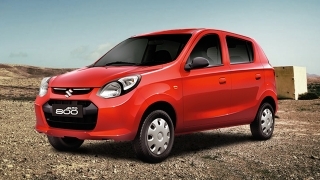 The 1.5L engine also performed admirably, providing good acceleration and manageable throttle response. Although, I did notice that the brakes could benefit from an earlier bite, as my foot needed to go almost halfway before any noticeable slowdown. There’s also some agility to be found in the new HEARTECT platform, and the added stiffness is just enough to accommodate poor road conditions without sacrificing too much passenger comfort. Once we got to the wider streets where traffic flowed more smoothly, the Ertiga also kept pace with little complaint. 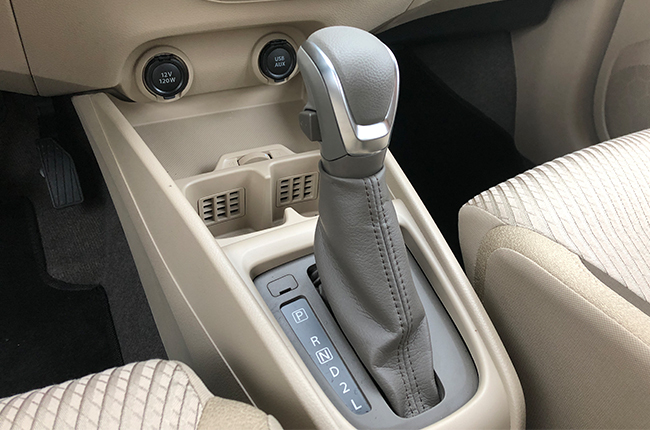 The four-speed automatic is a good transmission in conditions like these, as it provides good management of gears in the city and just enough for the Ertiga to stretch its legs on faster stints. If you keep your foot steady and increase speed confidently yet progressively, the Ertiga is capable of picking up speed nicely, and the gear selection is on point. 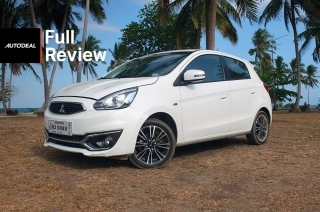 You’ll also find that the Ertiga feels stable and planted at speed, still retaining some readiness to change direction at a moment’s notice, and this is also due in part to the feedback from the steering, which was always very good. Road noise was also adequately suppressed, and wind noise was hushed even better, resulting in a more comfortable drive. On the highway, the Suzuki Ertiga also returns good numbers when it comes to fuel economy. The 1.5L gasoline four cylinder generates 103 hp and 138 Nm of torque, and those are respectable figures coupled with a pretty efficient engine; we were able to get a high of at least 15 km/l without even trying. Noise, vibration, and harshness (NVH) were kept to a minimum thanks to some smart application of sound deadening materials and the result of the HEARTECT platform. The Ertiga at triple digit speeds feels balanced, and they were able to dial in the suspension settings to make it a good highway cruiser, even when fully loaded. 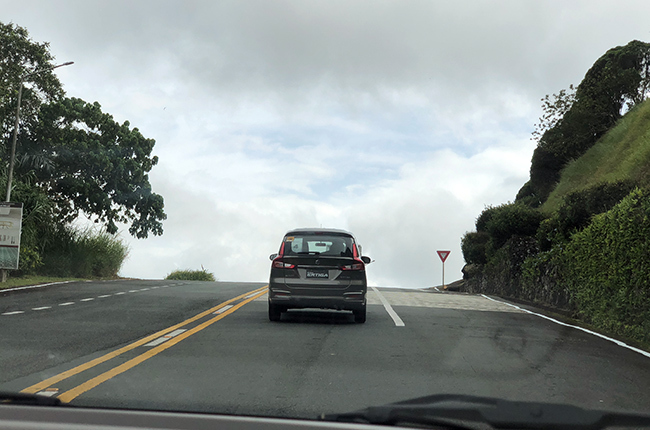 Once we started our ascent up in the mountains of Tagaytay, we also noticed that the engine and transmission combo started to work a little bit harder, and prodding it to downshift to maintain momentum led to some high revving. It would get loud, but the vehicle would get moving right away. We reckon it might be something with the transmission programming when it came to detecting rising elevation. Downhills were manageable because of the available low and 2nd selection on the gear lever, so you can supplement your standard hydraulic braking with engine braking, as well. Overall, the Suzuki Ertiga has all the makings of a good small MPV, and the pricing make it even more attractive, providing good value for its feature set. It’s got a great infotainment system, and the drive is more car-like than some of its competitors, while still undercutting them by a small margin. Of course, we’d like to spend more time with the Ertiga very soon, and rest assured that we’ll be having more in depth reviews in the pipeline. So far, it’s been an impressive drive, and we hope that the Ertiga has what it takes to take on the rest of them. The 2019 Suzuki Ertiga has the following price tags and variants: P728,000 (GA MT), P848,000 (GL MT), P888,000 (GL AT) and P978,000 (GLX AT). 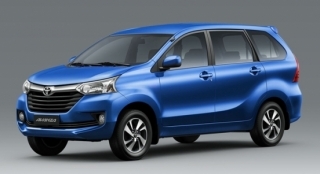 Hi, I would like to receive a financing quote for the Suzuki Ertiga GLX 1.5 AT, thank you.